We require some information from you, such as your name and email address, in order to make bookings and fulfill your service requests via the platform. 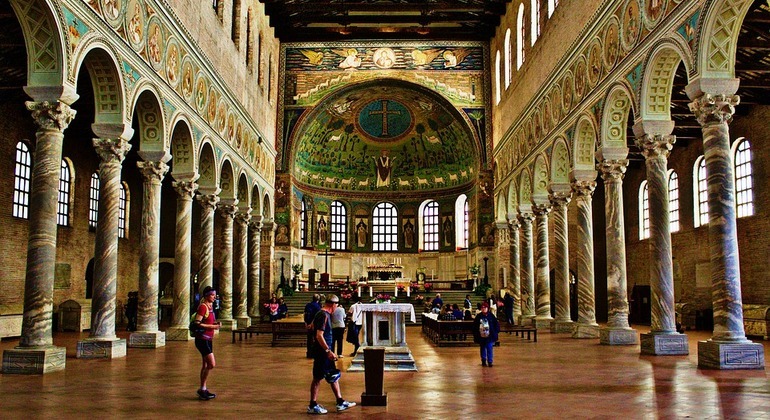 Let our tour guides take you through the narrow and magic streets of Ravenna's city center, among incredible monuments, enchanted by its antique and imposing cathedrals and captured by its fascinating history. What makes this city unique is the many perfectly-preserved remains of the Byzantine Period (400-600 d.C.). This guided walking tour includes stops at the main landmarks and a ticket to visit the exceptional Arcivescovile Museum, the place where the numerous works of art that belonged to the ancient cathedral (Cappella di Sant'Andrea and Cattedra d'Ivoire) are preserved, the Battistero Neoniano, the Cathedrals of Sant'Apollinare Nuovo and San Vitale. 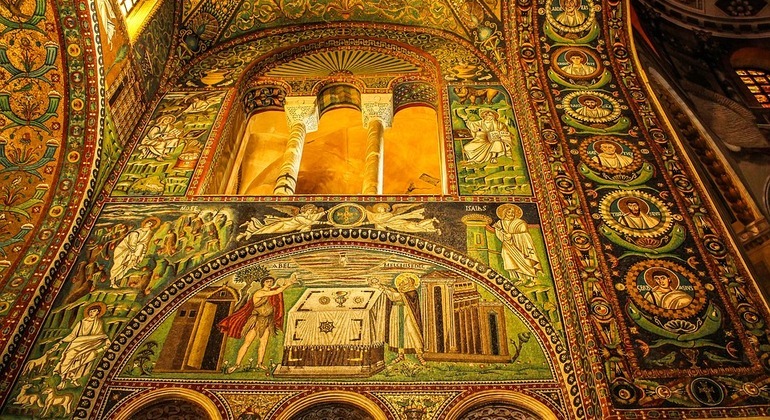 You will also explore the famous Galla Placidia Mausoleum, which houses beautiful Frescoes and the richest mosaic heritage in the world. Our incredible professional guides will help you immerse yourself not only in the history of Ravenna but also in its lifestyle and culture, in an exceptional and unforgettable journey! Meeting Point 1. Ravenna's Central Railway Station. For customers that are already staying in Ravenna, please contact us to establish a meeting point in the city center. Booking for this tour is required to reserve your space specially during high season. This helps us to guarantee you'll receive a top quality tour! Please note that this tour has an 1 day(s) cancellation policy. Failure to cancel within this time or in the case of your non-arrival, you will still be charged the full cost of your booking.